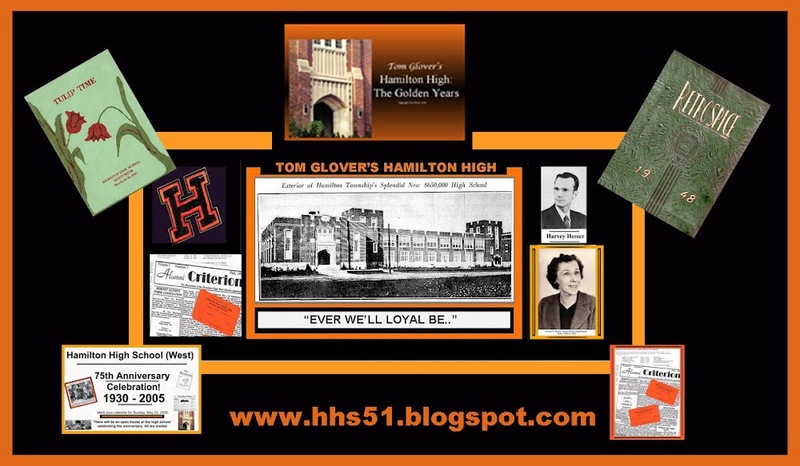 1965 AND 1966 ANNOUNCING AN OCTOBER REUNION! 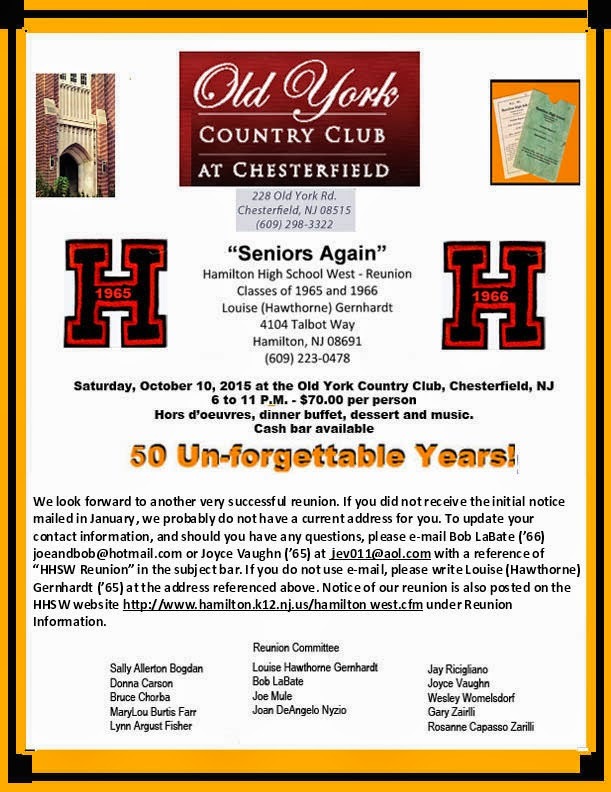 Above is the announcement of the 50th reunion of the combined classes of 1965 and 1966. I have always felt that the combining of classes would make for a much more interesting reunion. 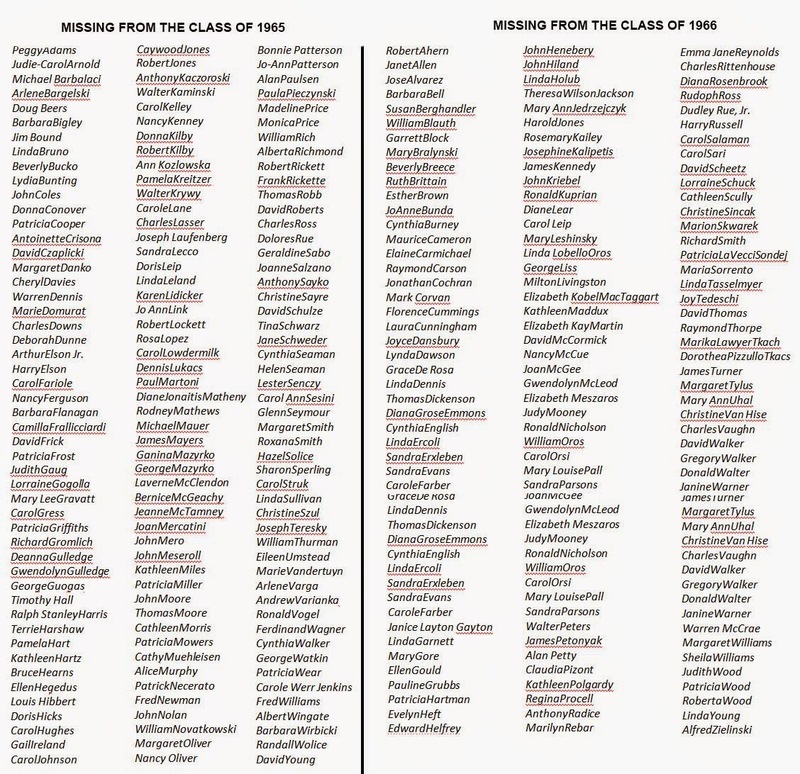 Having been very active in reunion activities over many years, I find if so very disappointing number of classmates who never come to reunions outnumber those who attend by a huge majority. Sad to say (and this is my opinion) many guys and gals don't like what father or mother time has done to them physically over the years. On the other hand, there are those of us who wear those wrinkles proudly and carry all those other vestiges of aging confident in the realization that "we're all in this aging thing together." I have found that personal appearance takes a back seat to being with that person or persons we loved and respected during our young years. Personalities shine, not personal appearance.